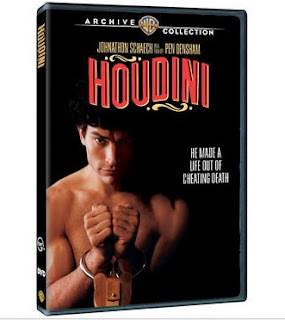 The HOUDINI movie that was made for TNT back in 1998 is finally on DVD. It's being offered on the WB website. This is the movie that starred Johnathon Schaech, Stacy Edwards, Paul Sorvino, Rhea Perlman and Mark Ruffalo as Hardeen. Like many Houdini movies this was has it's flaws, but it also has some fine moments as well. I love the opening sequence where Schaech/Houdini is escaping from the Jail Cell, great way to open a movie. There are also a fair amount of flaws to the movie as well, but for me at least, I enjoyed the movie. 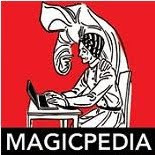 The link to the site is http://www.wbshop.com/product/houdini+1000412546.do?sortby=ourPicks&from=Search It's selling for $18.95 and is available only in the U.S. at the moment.